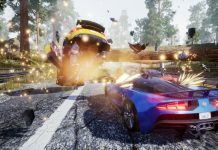 If MotorStorm and Burnout were to somehow get together and do the deed, Onrush would be the result. 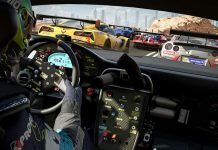 It’s the coming together of two action-packed racing franchises, given additional flair by a rebellious streak and an online bent. Not that that’s a bad thing; it’s a good one, actually. It has been too long since we’ve been treated to a high-octane, balls-to-the-wall arcade racer, especially one as polished as Onrush. Onrush is all about team-based races, though your objective is never to simply cross a finish line before the competition. 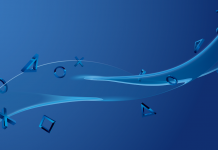 Instead, each and every event in Onrush has one of four objectives. Central to pretty much all of them, however, is your ability to boost, and also enter what is called a Rush. Powered by a meter which is generally charged by boosting, activating Rush sends you speeding forward on the track, damaging any opponents who get in your way while also providing a variety of other benefits. 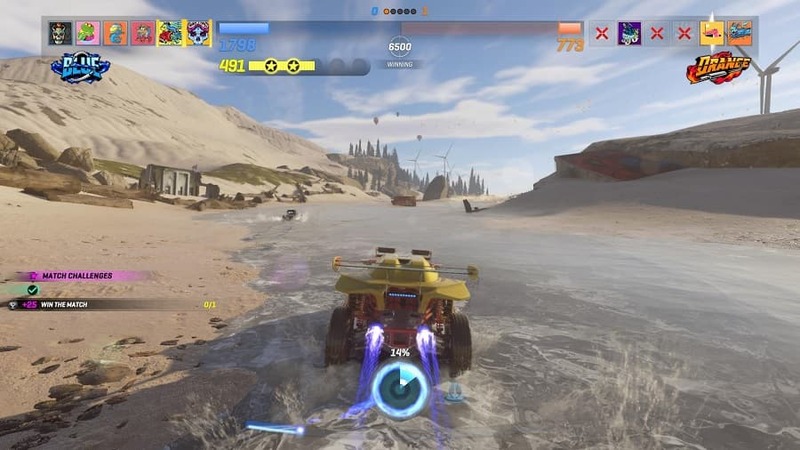 The very first event type you’re likely to come across after completing Onrush‘s tutorial is Overdrive, in which each team of six is required to boost and Rush as much as possible. To keep their boost meters charged, racers will need to perform stunts, take out the opposition and live dangerously by narrowly avoiding crashes. It’s fast, certainly furious, and also a hell of a lot of fun. Countdown races, on the other hand, task racers with driving through checkpoints to add time to their team’s clock, which steadily depletes. Here, control is more important than speed, though try telling that to some drivers. More combat focused, Switch events are where the action really heats up. With every racer starting out on a bike, every time someone gets taken down they get to respawn with a bigger, heavier vehicle. Each player only gets three respawns, however, and the team that runs out of respawns first is the loser. Onrush‘s final gameplay mode, Lockdown, is undoubtedly the most interesting though. In Lockdown, both teams vie for control of a small zone that hurtles along the track. Competitors first have to fight to the front of the pack to get into the zone. Then, once they’re in it, they have to hold it for five seconds. Both teams can fight for the zone by trying to take each other out and having more cars occupy it, and trust me, the tussles can get pretty violent. As I’ve already hinted, there are many vehicle classes available, each with their own strengths and weaknesses. Bikes, example, are nimble, but they can’t take too much of a hit. Then, at the other end of the scale are giant monstrosities like the Enforcer. They’re more sluggish to handle, but sure do pack a punch when it’s needed. More interesting though, is that each and every one of the eight vehicle types available has its own trio of perks and Rush features. 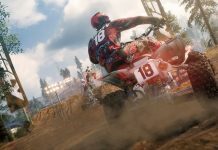 Those who take to the track on the bike called The Outlaw will find themselves gaining a bonus to their Rush meter by performing tricks, and when they do activate Rush they’ll drain boost from all opponents within range. Meanwhile, racers who choose to join in on the action via The Interceptor will find that their initial boost surge will be more powerful but also more costly, while taking down opponents when Rush is activated will extend its longevity. It makes choosing your vehicle somewhat of a strategic move, with savvy players perhaps even choosing a vehicle that complements the choice of their teammates. No matter which event type you’re competing in, taking part always feels exciting. Getting taken out or wrecking yourself results in you being taken out of the game momentarily, but it’s never too long before you’re back into the thick of the action. There are even measures in place to relocate you back with the pack if you find yourself lagging behind. Sometimes it can feel a little overzealous, but it’s a welcome move to keep everyone competing rather than taking it easy. 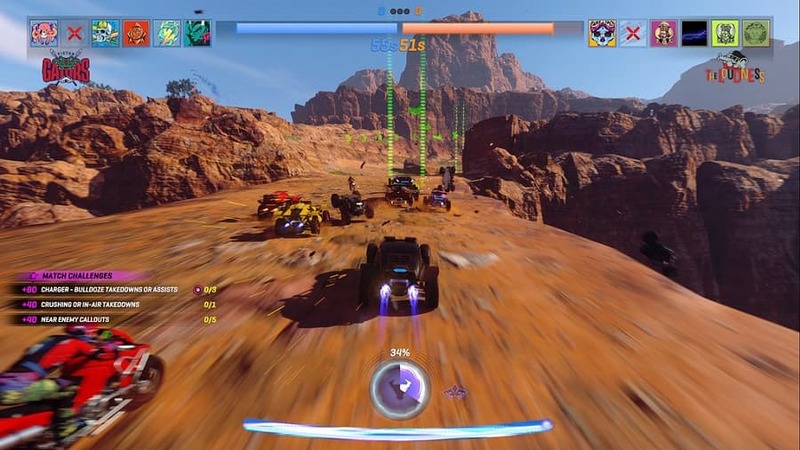 Combat is perhaps the only area where Onrush sometimes frustrates. It can often feel a bit hit and miss; a bit inconsistent. Sometimes you’ll pelt an opponent with all you’ve got yet simply put them in a danger state, while other times you’ll seemingly just touch them and send them reeling. Crashing into various bits of scenery is subject to unpredictable results, too. It can also feel a little unfair at times to take a violent swipe at your opponent yet end up the worst for wear because your vehicle was slightly ahead of theirs. And finally, being crushed by a bike while driving a hulking 4×4 just feels plain wrong. 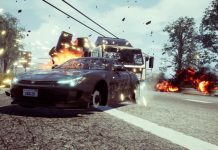 While Onrush is a team-based game, it does have a fairly extensive single player mode to get stuck into. It’s your standard campaign affair, with six groups of events to be completed, along with optional challenges along the way. Against all odds it works, too. 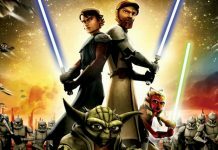 Winning really does feel like it depends on your performance; you can’t just sit back and let the rest of your computer-controlled team do the work for you. No event never feels like an insurmountable challenge, either. Those who like to play with friends will be happy to hear that you can also play it in co-op very easily, with all players having their progress counted. 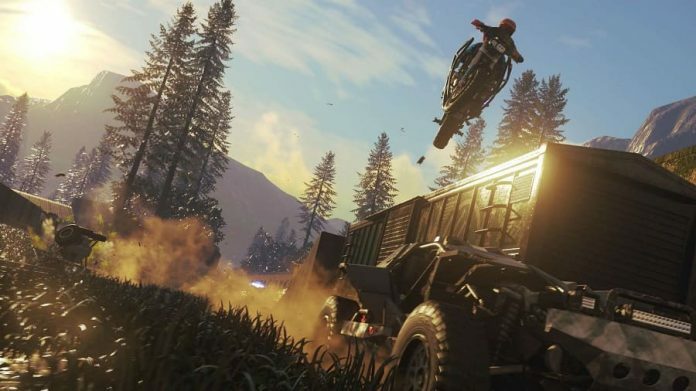 Make no mistake though, Onrush is primarily an online game. 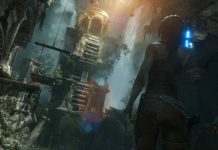 Some players are likely to never touch the game’s campaign mode, and they won’t really be missing anything by not doing so. Thankfully the game plays flawlessly online, with no signs of lag or other hiccups ruining the action. And of course, a levelling system is in play, rewarding players with gear crates as they progress. Full of purely cosmetic items, gear crates act as a suitably enjoyable reward for putting in the time, allowing you to customise the look of your vehicles and avatars. Though it is capable of annoying at times, Onrush is hands down a brilliant arcade racer. It’s a constant assault on your senses, and thanks to its stellar track design and energetic gameplay you can’t help but keep going back for more. I just can’t wait to see how the game’s community grows, fuelling the competition. And, while it already has a wealth of content, I’m eager to see Onrush refined and expanded upon. Onrush is available on PlayStation 4 and Xbox One. We reviewed the Xbox One version.